Have you experienced Travel America RV Center? 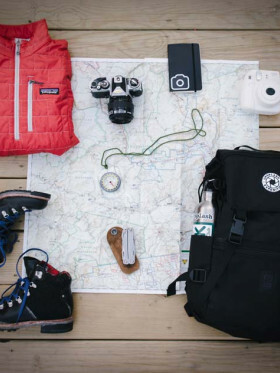 Help others learn about this company by sharing your first-hand information with other road-trippers. 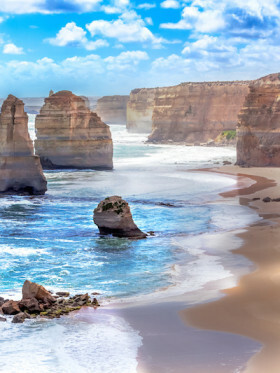 This small family-owned business has over 40 years experience in providing travellers a great time on the open road. 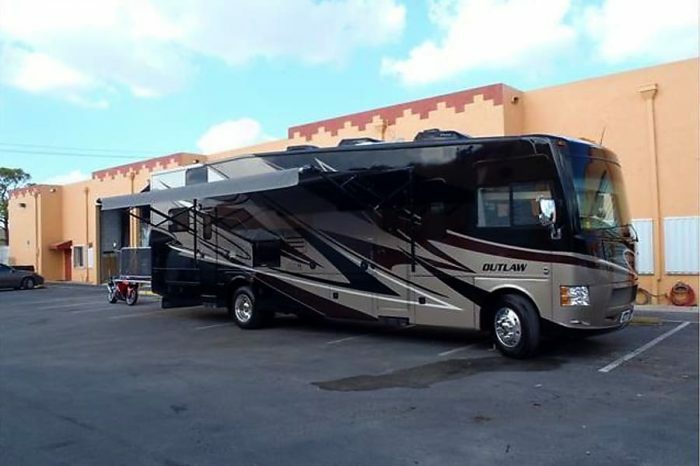 And as they specialize only in RV rentals, they make sure to excel on this field through giving different options of Class A and Class C vehicles at discounted rate. Plus, there are no one way rentals and the company offers a lot of rental promotions like senior, police, fireman discounts as well as Penn State Game special. Accompanied by their seasoned rental experience, they ensure a well-maintained and comfortable holiday through their 'White Glove Standard', which means that each coach is clean and fresh with new mattress cover, fresh bathroom, refrigerator and air-conditioner. These white glove motorhomes are thoroughly preserved at its finest. The RVs ranges from 6-berth to 11-berth, making it fitting for bigger families. Some are pet-friendly units, some are handicapped approved. Maximum of two dogs but sorry, no cats allowed. 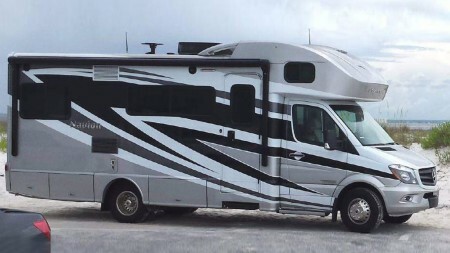 Uniquely, some RVs comfortably cater your dear disabled loved ones with no narrow doorways but rather easy loading ramps and more spacious layout for different sized wheelchairs. The rental fleet has a lot of options, including Class A and Class C RVs that are mostly automatic units. 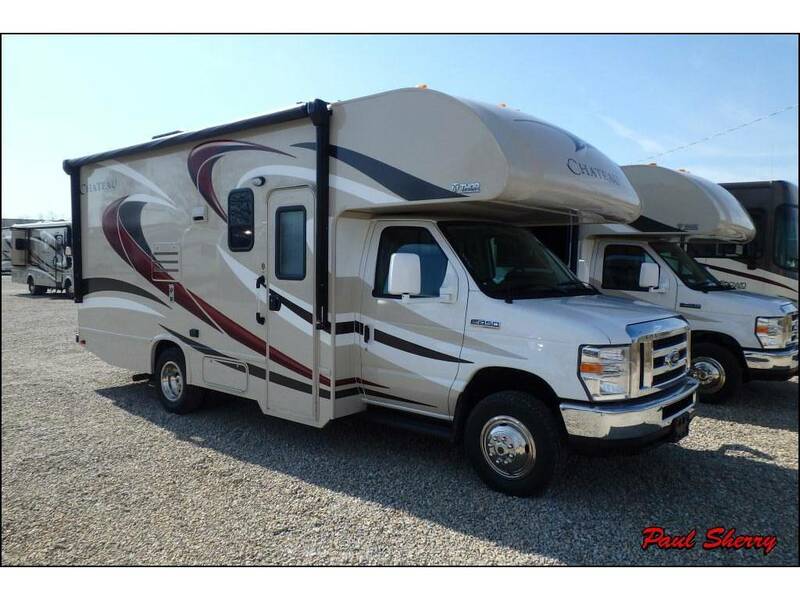 As the only Class A, the 2017 32 ft Georgetown XL is a coveted motorhome on fleet. 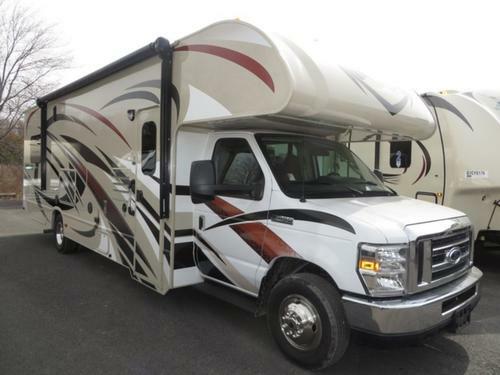 This gas powered RV is one of the top of the line units that is nicer and newer than other models on the road. Equipped with full kitchen, large sleeping area, spacious basement storage, generator, 2 internal TV/DVD and more, your entire family will seriously enjoy a comfy vacation on wheels. 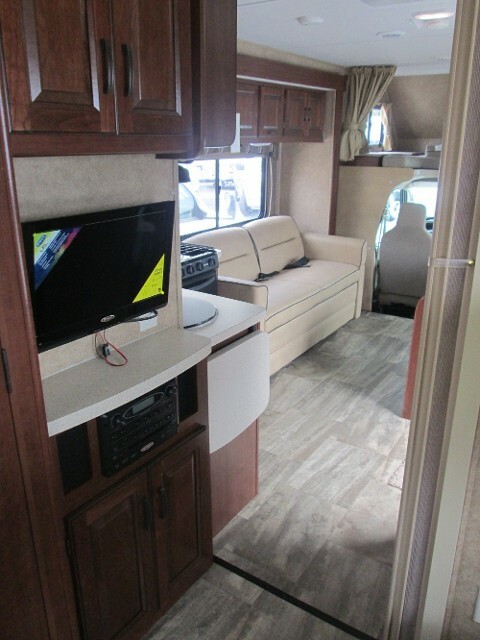 In addition, this RV features an electric canopy, exterior kitchen and outside 32" TV for nonstop entertainment. But of course, because of the extra comfort due to the extended length, parking could be a slight issue. 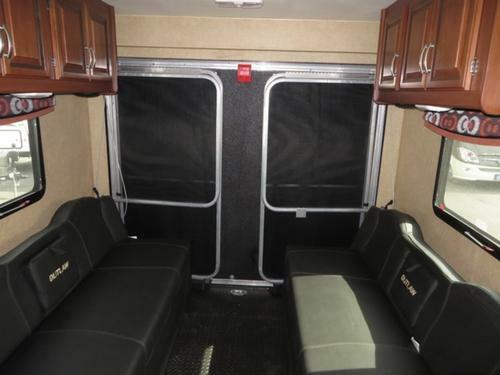 The 24ft Itasca Navion is a diesel powered Mercedes Benz unit that sleeps 5 to 6 people. 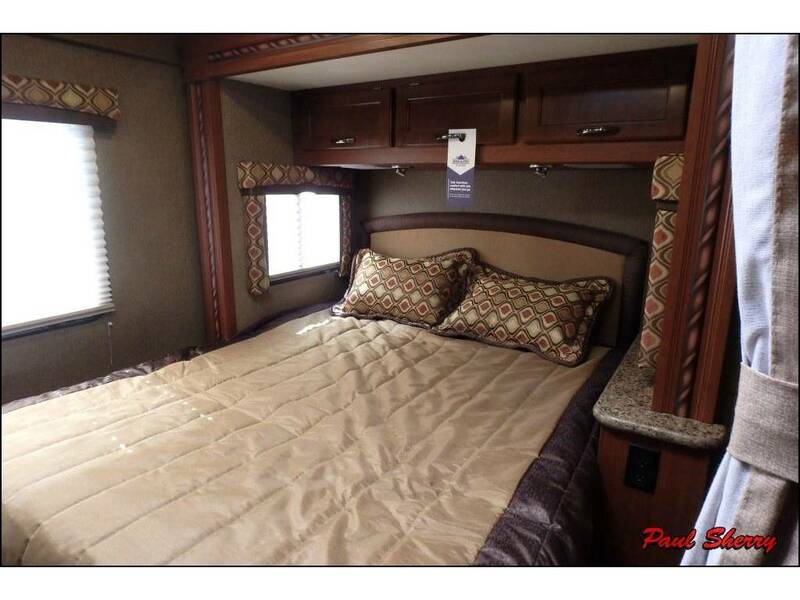 This small and cute Class C could be the sleekest and fanciest option with luxury features inside and outside. It is stocked with Onan LP generator as well as important facilities like bathroom with shower and toilet, kitchen with burner stove top and connection oven, and a lot more. 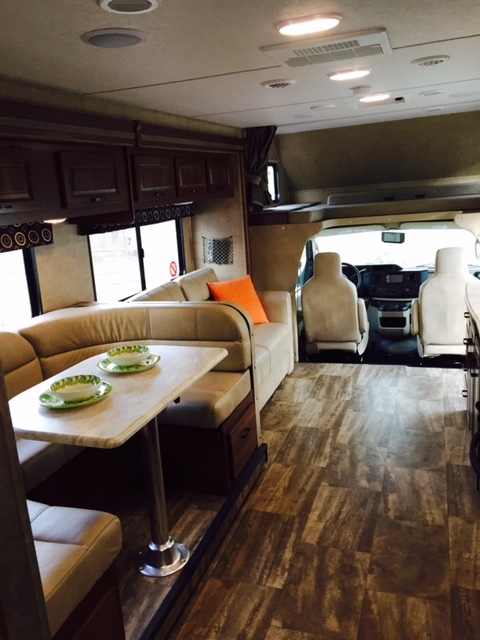 The rear queen bed and leather sofa sleeper are much spacious because both are in separate slide-out rooms. The loft sleeper over the driver cab comes with a nice ladder for extra comfort. For the Thor Chateau models, there are two options: the 6 berth and the 8 berth. 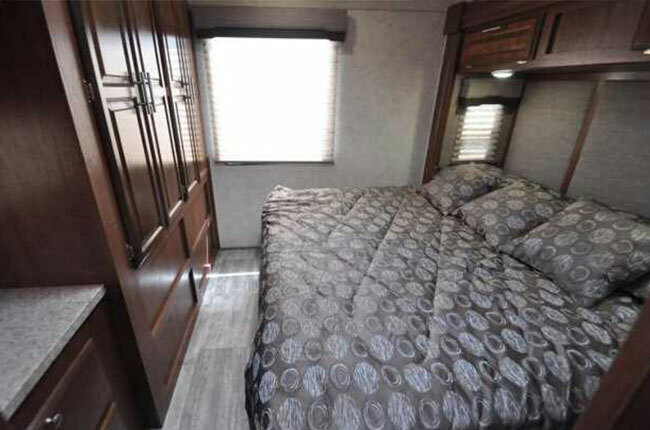 The 6 sleeper comes in two variants the 23' and the 26', both 2017 models with furnished kitchen, comfy sleeping quarters, large bathroom with shower, central air generator awning, exterior storage and entertainment. The two just differ in terms of interior layout and slide-out room. On the other hand, there's the 8 berth at 28' with upgraded features like super slide-out room, elegant kitchen space, TV antenna, electric canopy with LED lighting and full basement storage. This 29' Thor Outlaw sleeps 6 with a brilliant Ford E-450 chassis and 6.8 Triton V10 engine. As the only toy hauler on offer, this is a favored pick among sports enthusiasts or families planning for some outdoor BBQ and the like. The super spacious garage is large enough for a full-sized motorcycle or an extended island king bed. The garage door also converts into an alfresco patio deck. But if you do not want to open the doors for fresh air, don't worry because there's a separate air conditioner. Keep up with movie game with the fascinating TV/DVD system. Another popular pick among the RVs, the Sunseeker model has the most number of models on fleet. There are five Sunseekers in different layout and sleeping capacity. 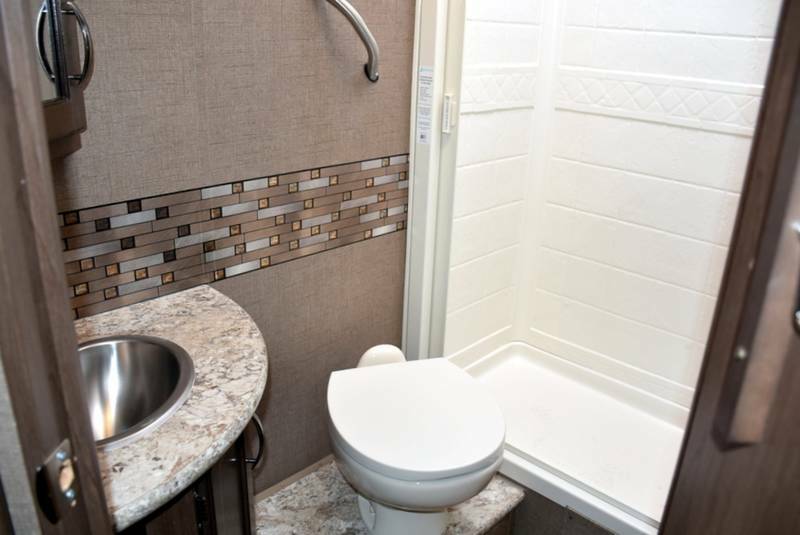 The smallest at 25' is your standard RV with standard amenities. 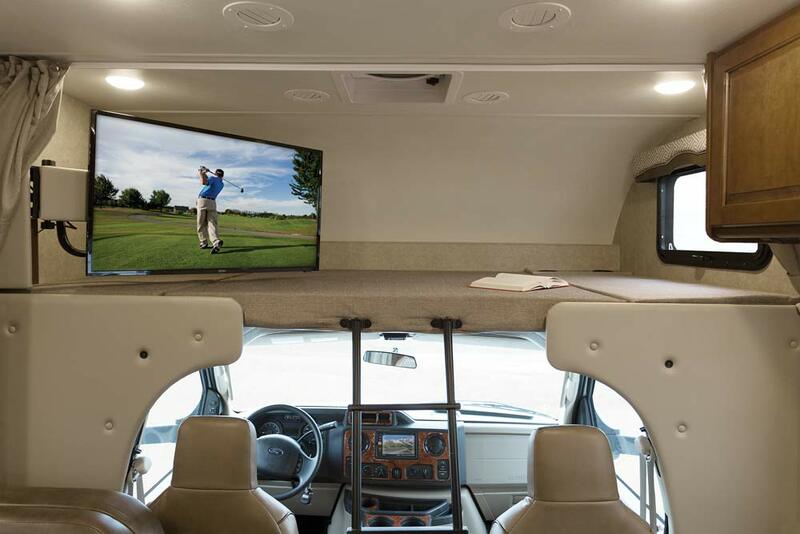 For tailgating families, the 28' unit with outside kitchen and TV is the best option. 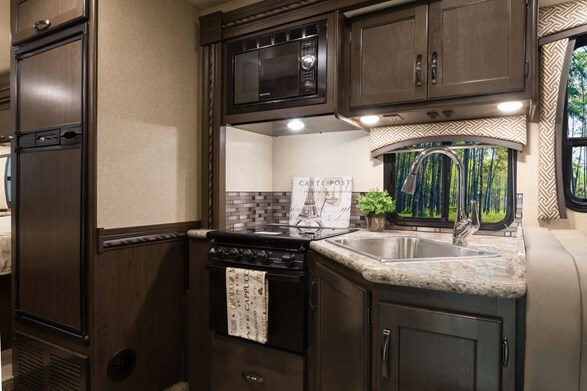 A bigger option for groups up to 8 is the 31' with distinct attributes like residential-sized refrigerator with ice maker, spectacular entertainment set, full bathroom with shower/ tub and vanity with laundry basket. And the largest Sunseekers are at 32 and 33 ft. featuring bunks beds. 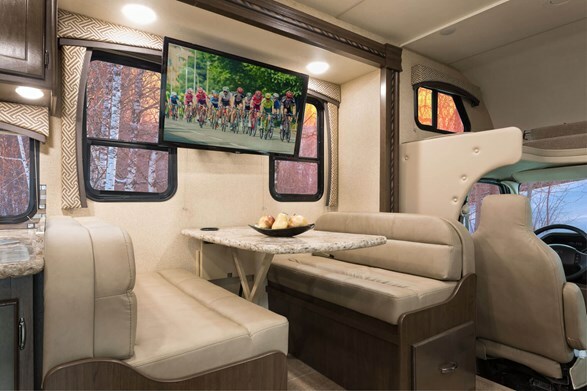 These gigantic motorhomes are luxury treats with high-end finishes and comfy upgrades including in-motion direct TV satellite system and monitor control panel for RV operations. Your rental comes with full insurance coverage that includes $50,000 liability insurance and $1 million liability insurance umbrella for a daily rate of $14.95. Aside from that, they offer personal property insurance at $4.95 per day. All insurance transactions are processed on the day of vehicle pickup through credit card only. 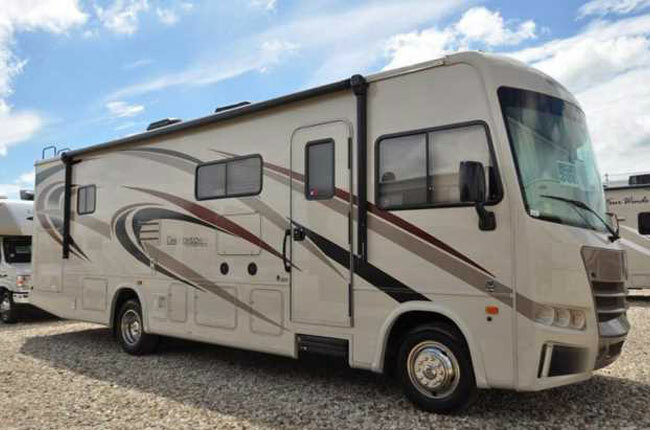 Also, at the time of RV collection, you need to provide a damage deposit of $3,500.00 by bank check or credit card. 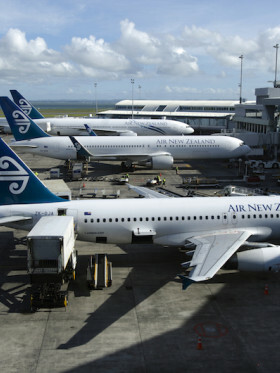 The company's more than 4 decades rental expertise as well as newer models on selection are some of the good factors for their good reputation. 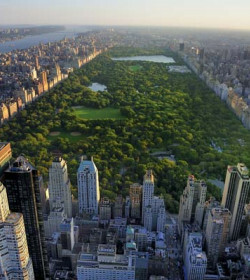 In addition, rentals are coupled with heaps of discounts and promotions so that the rates are more budget-friendly. They may be quite strict with their rentals and only have one branch, the Travel America RV Center is reputable rental company. 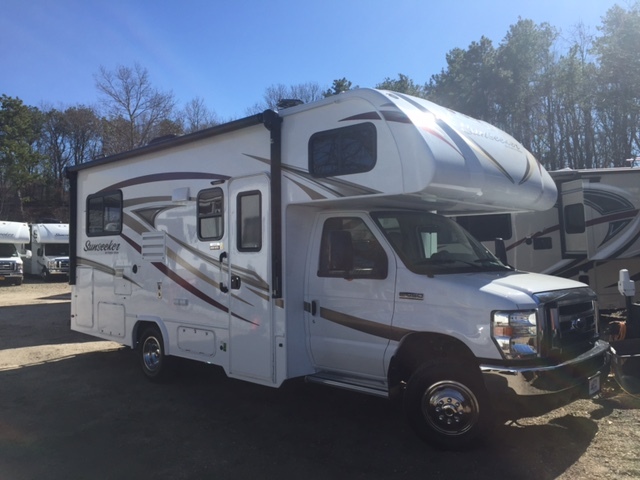 Considering the rates and discounts, Travel America RV Center is a good choice, especially if you do not want to break the bank while spending a comfy vacation on the road. Have you experienced Travel America RV Center? 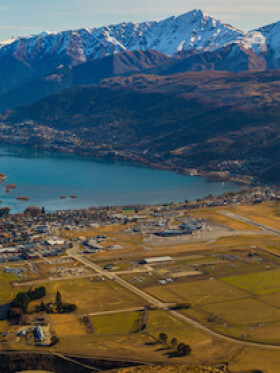 Queenstown Aiport for Campervan Rental – Why so popular? 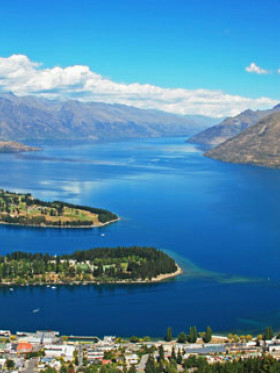 Queenstown Campervan Hire New Zealand – Why so popular? 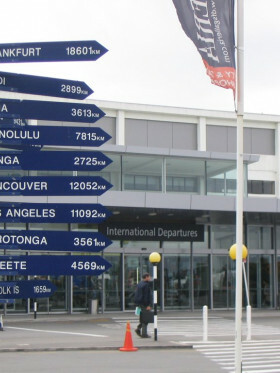 Campervan Hire from Auckland Airport – Why So Popular? 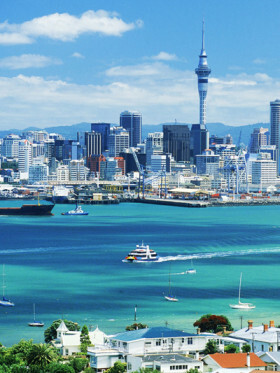 Campervan Hire in Auckland – Where Will You Go?